When you’re on the road for extended periods of times, sometimes it pays to have those few items from home that you just can’t travel without but might not be necessary. I like to take a few comforts with me when I travel, and here are my top backpacking luxury travel items that make my life that much easier and happier. I don’t care what anyone says, I bring a blow dryer with me. My hair hangs down to the middle of my back, and there is nothing I enjoy less than my sopping wet, just-showered hair soaking my shirt all down my backside in a humid location. So I carry a blow dryer with me. It’s a fairly cute, little travel version that still packs a 1000 watt punch so it really doesn’t take up all that much space in my bag. And surprisingly, it often gets used more for blow drying clothing than it does my hair. Well worth it if you can’t wait for your clothing to air dry. Small, light, and compact. Everything I could ask for when carrying 700 books with me. 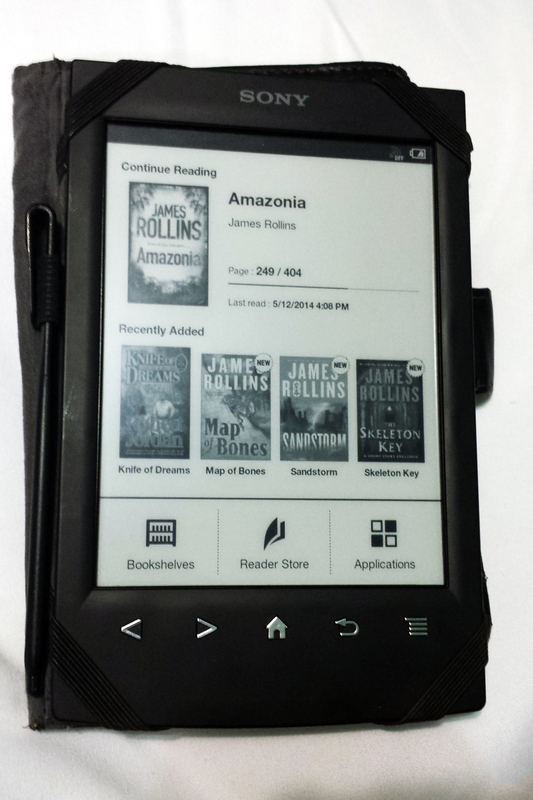 I used to think eReaders were silly, a waste of money, and just another piece of technology to get stolen. And then I bought one. Now, I wouldn’t give it up to anyone for any reason. As a backpacker, you’ll have plenty of time on those long bus rides or lazy days on the beach and if you love to read, this will become your favourite travel companion. It’s small, light, and packs up nicely in a backpack or small purse and can carry thousands of books at once. It also has an incredible battery life and will save your tablet or smartphone’s battery until you find WiFi. Carry one with you and you’ll never have to decide between the leftover paper copy of Shantaram or Mr. Nice at a hostel again. I don’t know what I would do without these two items. I would honestly cry if I lost my pillow. These two have been so invaluable on overnight and 12 hour or more bus rides. No more awful head bobs or neck cricks and, it’s incredibly important to mention, no more freezing cold rides that leave you miserable because you can’t keep warm. There is nothing worse than a freezing cold night trip. Nothing happier than skittle-colored toes on the beach. Don’t judge me, but yup, I bring nail polish with me when I travel and I touch up my toes when the sand and water wear it all away. I bring five little bottles of brightly colored fun and it makes me happy. I don’t quite know if I’d consider this a luxury item anymore as much as a necessity. With WiFi available from coffee shops to downtown cores to, of course, your hostel, carrying a smartphone is key to keeping up with family and new friends along your travels. You save money not having to pay for internet cafes, plus, on rainy and lazy days, you can curl up in your bed and catch-up on seasons of your favorite TV series. Great post, I love the beach. Travel around the world is the best thing that people can do.